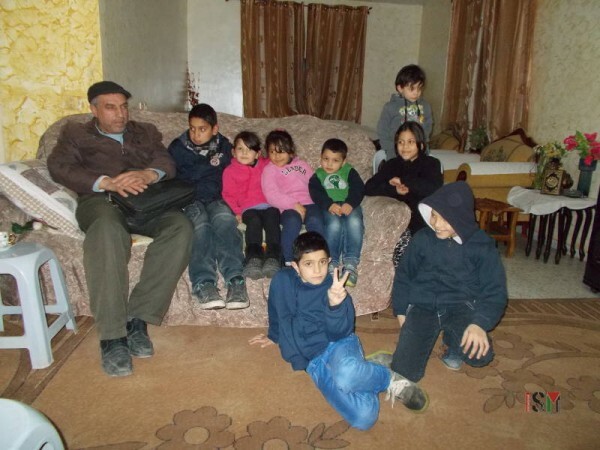 On Thursday, January 7th, the ISM went to visit Kifaya Rishek, a widow who lives in Beit Hanina, occupied East Jerusalem, waiting for her home to be demolished. 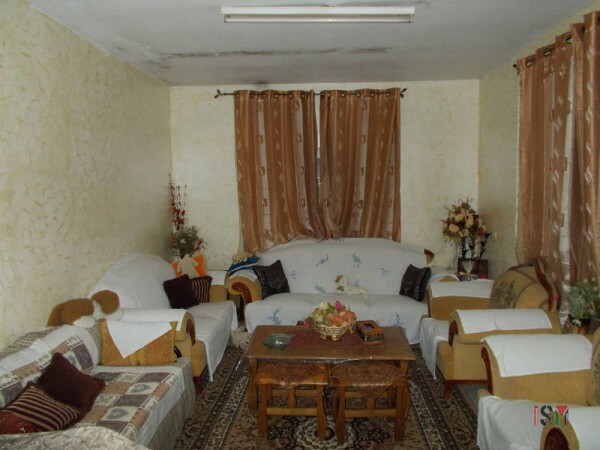 But Kifaya is not alone, she lives in this house together with her five children and 16 grandchildren, including 11 year-old, Malak, who is physically disabled. Their financial situation is very difficult; Murad and Ashraf, who have 4 children each, both work cleaning the Cinema City. Sharif has 5 children, and works selling toys in a store. Mohannad has 1 child and works in construction, but his salary is unstable since he works when he is called in by the company. Her daughter, Faiza, is divorced and also lives here with her 2 children. These 5 families who live here will be left homeless. Friend Nuredin Amro and his son, Abedkarim, sit on the far left side. 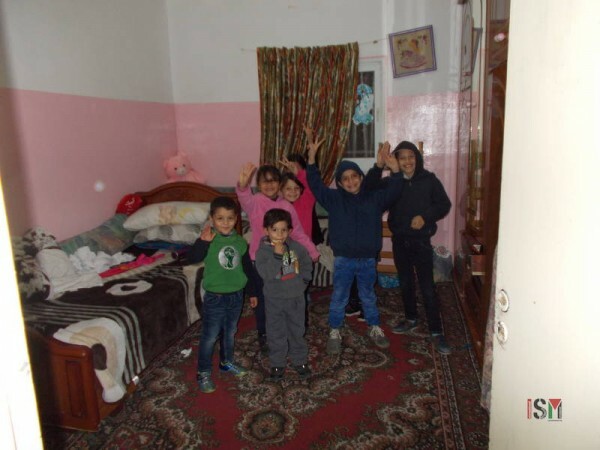 Seven of the children who live in this house are, from left to right: Mira, Mayaan, Ahmad, Yara. On top, Fajer. On the floor, Mohammad and Badar. 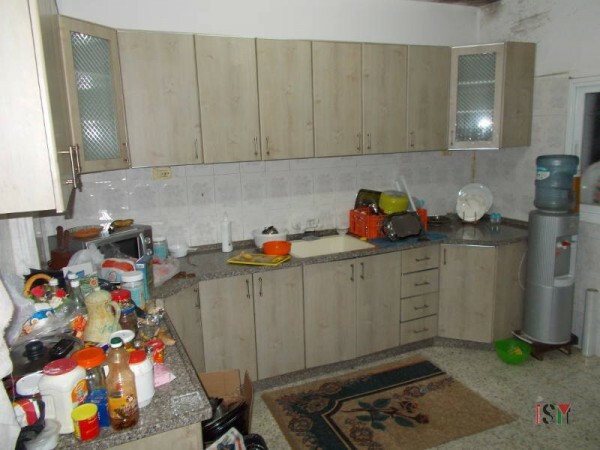 In 2012, the Israeli municipality of Jerusalem came to Kifaya’s house to tell them that they planned to build a road that would pass through the land where they live and that they would demolish only the outdoor kitchen that sits in the terrasse. 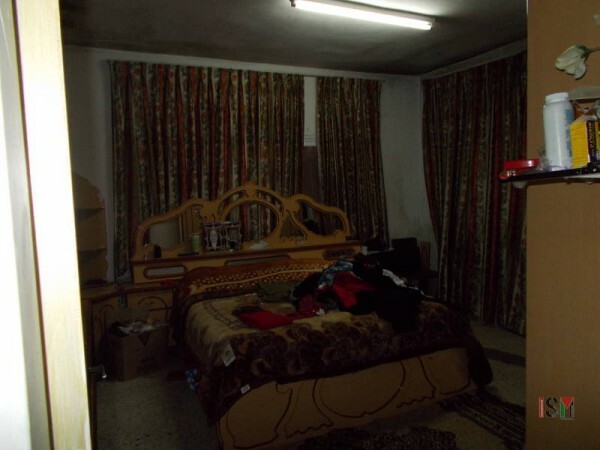 With time, the Israeli authorities changed their plan and said they would demolish the whole house. 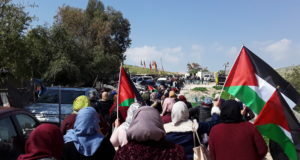 Kifaya brought her case to court, with the intention of having the lawyer convince the municipality to change the direction of the road so that it would pass through another piece of land that her family owns together with another family, named Zaloum. She would attend the court hearings, but they were always in Hebrew, which she does not understand. In the end, she lost her case in the High Court, leaving her and her family with no more options in the Israeli controlled legal system. All of this is happening even though the house and land belongs to them: all payments are up to date, including their monthly taxes. This decision on the part of the court and the Israeli authorities only shows that, in reality, the intention behind the demolition of Kifaya’s home is just part of a much larger Zionist plan to ethnically cleanse the Palestinians who live in Jerusalem, and make them refugees inside the West Bank. One of the bedrooms with the children. The demolition order became effective a week ago, which means that the family lives in the house waiting every day for the workers to come with the bulldozer. 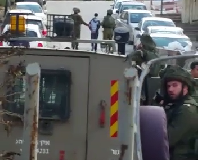 This kind of collective punishment creates a horrible life for Palestinians, as they are all incredibly anxious, sad and absolutely uncertain of not knowing when they will lose their house, because Israel does not give any prior notice as to when they will come with the bulldozer. The demolition can happen at any time, maybe a week, a month or a year ahead. And the family will not only lose their house, since the intention is to build a road, they will also lose their land. Unlike other families who, after the demolition, can still build another home on the same land, the Rishek family is being expelled. 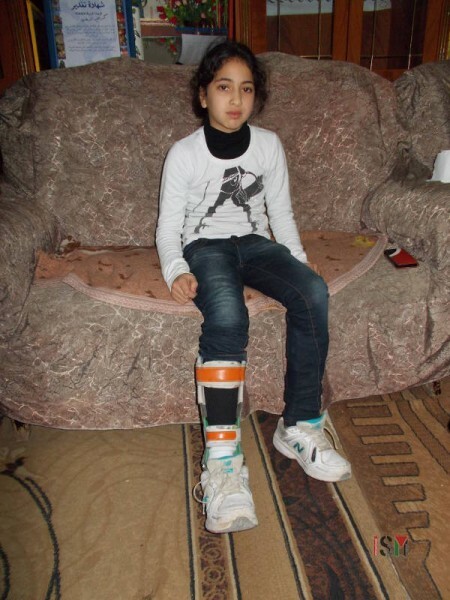 Malak is 11 years old and has a physical disability in her legs. She gets treatment in the ALYN Pediatric Hospital in Jerusalem. But the extent of their loss goes far beyond the material loss of their home and land. 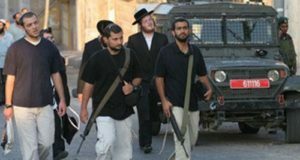 Since the family is very poor, they cannot afford moving to another neighborhood inside Jerusalem, therefore, they will be forced to relocate inside the West Bank, becoming refugees. This means they will lose their jobs, the children’s school and Malak’s therapy program, their health insurance, and pension plans. Once the family leaves Jerusalem, they will lose their Jerusalem identity cards, together with all their social benefits, such as the insurance for all the children (according to the Jerusalem Municipality Regulation), widow pension plan, health insurance and special disability insurance. The men will also lose their jobs, since they will not be able to move long distances and cross checkpoints to get to their current jobs. All the children go to school in the Shuafat Refugee Camp. When they move into the West Bank, they will need to find a new school. They will lose all their friends, and probably the whole school year, too. Malak’s physiotherapy program, which is covered with insurance in the ALYN Hospital, will also be lost and her parents are afraid they won’t be able to afford another therapy program in the West Bank. In a situation that produces such levels of anxiety and the feeling of not having control of one’s life, Kifaya has developed a habit of collecting all her important belongings then putting them back in their place. The family has no idea where they will go live afterward. One of the main bedrooms. In a second interview, we visited Rajeh and Nadia Hawareen, the neighbors who live next door, facing the exact same situation. 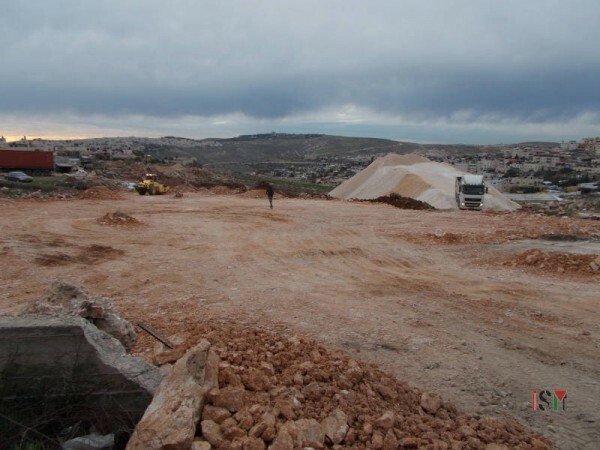 The road will also pass on top of their land, and this house will be the second house that Israel demolishes for Rajeh and Nadia as collective punishment. 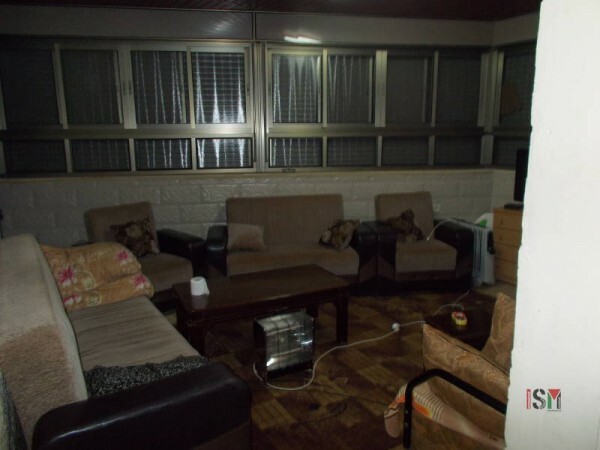 The couple lives in the house with their four children. 2 of them are engaged and plan to marry in August next year, but living with this kind of threat does not allow them to plan their weddings appropriately. 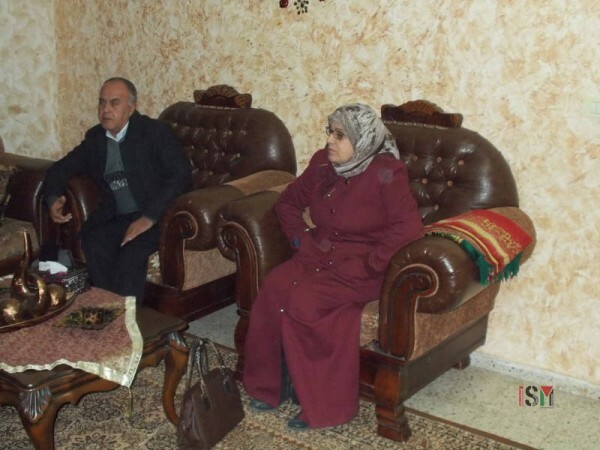 Rajeh explains how they suffer from the same psychological distress as Kifaya’s family. They used up their savings paying all the lawyers, engineers, and professionals they could to find a way to prevent this demolition. But just like Kifaya, they lost their case. Rajeh also explains how the situation inside the court is absolutely unfair. Palestinians are not allowed to talk and the hearings are held in Hebrew. The law, of course, is also different for Palestinians and Israelis. Israel also passes special laws for Palestinians who live in Jerusalem, in order to evict them. 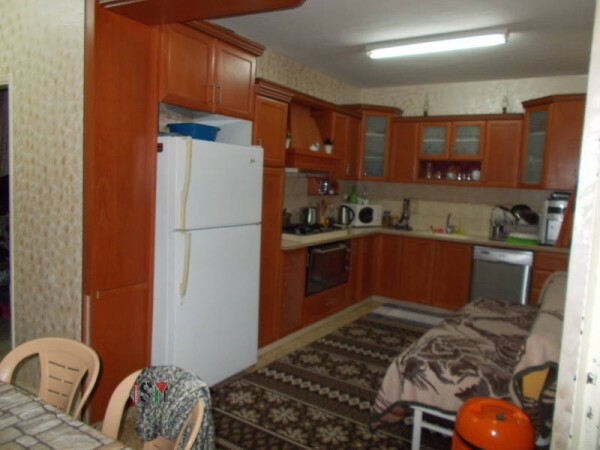 The kitchen of the Hawareen family. The bulldozers are working on the land nearby. Anytime soon they will arrive to the families’ doorsteps.